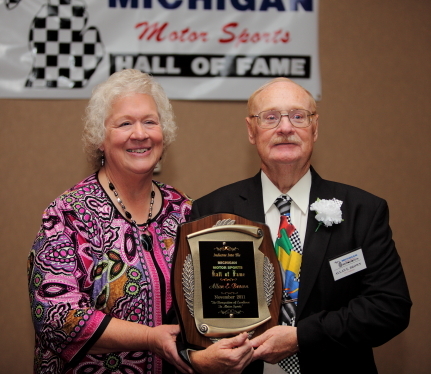 NSD – Co-Founder Allan E. Brown Elected into Michigan Motorsports Hall of Fame! The Michigan Motor Sports Hall of Fame announced that National Speedway Co-Founder Allan E. Brown has been elected into the Hall of Fame. The 2011 inductees received their awards on Sunday November 6, 2011 in Mt. Pleasant, MI. 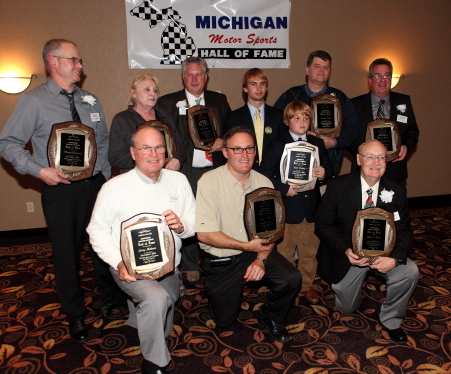 The Michigan Motor Sports Hall of Fame was established in 1982. Its mission is to preserve the history of all types of motor racing in the state of Michigan, and make this history available to the public. The MMSHOF will recognize and pay tribute to those citizens of Michigan who have given of themselves, whatever their roles in racing may have been. They will enshrine and acknowledge the deeds of those people that excelled in motor sports. The goal is to have a permanent museum where the public can examine motor sports racing memorabilia and recognize those who have been enshrined. They hope to have a mobile museum that can travel to events such as Parades, Air Shows, Regattas, Oval Tracks, Drag Strips, Grand Prixs, Festivals, Etc.